Visha Keshwala and husband, Sunil, have owned and operated Caremark Hinckley, Bosworth and Blaby since 2013. On 31st August, the pair took over management of Caremark Leicester are now working with the existing team to drive the business forwards. Caremark Hinckley, Bosworth and Blaby, whose office is at Grange Business Park in Whetstone, already provide specialist care to one hundred local residents throughout west Leicestershire. When the existing owner of the city centre based office decided the time was right to move on to pastures new, Visha and Sunil leapt at the chance to own and run another branch of the business they know and love. 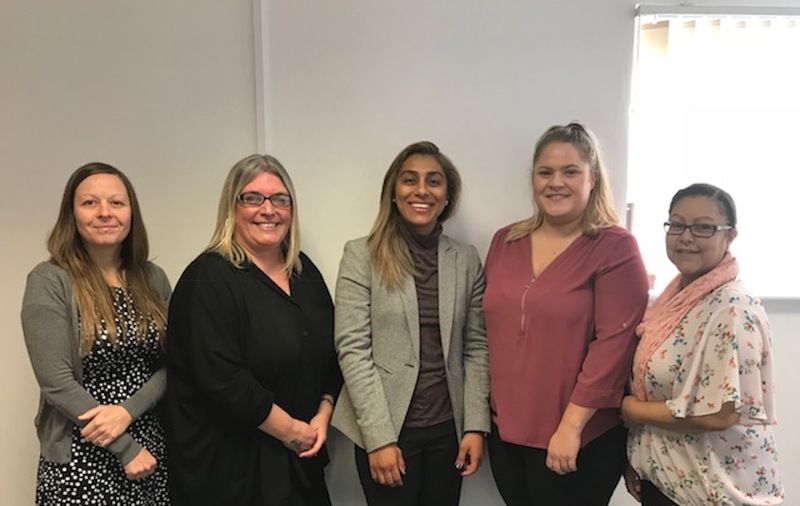 “We’re especially pleased that the team here are going to be staying with us and continuing to work with the clients and families that they’ve built up relationships with. Over the coming weeks and months, we’ll be looking to expand our team of care workers so that we can offer support to more people and change more lives for the better,” adds Sunil. Caremark Leicester has already been rated GOOD by the Care Quality Commission and the pair’s Hinckley, Bosworth and Blaby based business also boasts a GOOD rating from their most recent inspection. The inspectors said that ‘People were treated with kindness and respect’ and that ‘staff knew people well and treated them with kindness and compassion’. Husband and wife duo, Visha and Sunil, plan to emulate this level of care, compassion and integrity in their new Leicester city centre based business.